Our Mission at Riversong is to “Treat the pet Well”, by offering treatments which support the body’s natural healing capabilities.We strive to provide high quality, compassionate care in a comfortable, relaxed outpatient setting. 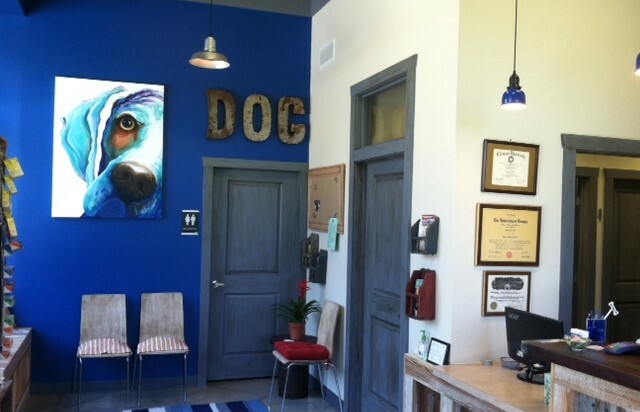 Appointments are preferred and we will do our best to accommodate your schedule and your pet’s individual needs. You are more than welcome to leave a message on our answering service after hours if your pet needs to be seen early the following day or if your schedule is limited. Full payment is expected at the time services are rendered. We accept cash, checks, debit, Visa, Mastercard, American Express, and Discover. If you would like an estimated cost of procedures, services, or medications, please call prior to your appointment and we will prepare one. In the interest of all our pets and pet parents, we ask that all patients are kept on a leash or in an appropriate carrier while in the lobby as well as the exam room. Patients in critical condition or an emergency situation are given priority over scheduled/more stable patients. We appreciate your understanding and strive to address each pet’s needs a timely manner. If you are bringing in a pet we have not yet seen, please print and complete the New Patient Welcome Questionnaire. This will expedite the check-in process.